We are one of the market leaders for CO2 laser engraver/cutter laser tube refurbishment to manufacturer specifications. Whether you have an Epilog Laser, GCC/Laserpro/Pinnacle, Trotec, or other American/European made engraver machine, we can provide you with the best value for laser tube refurbishment. If you own a laser tube from Coherent, such as a GEM 30, C30, DEOS 30 watt, or any model of the GEM series, or C series, or DEOS products, we have an inventory of these products and can provide a trade-in so you have no down time, or an upgrade, so you get more power and a faster engraver, or simply refill your laser and rueturn it with our expedited service. 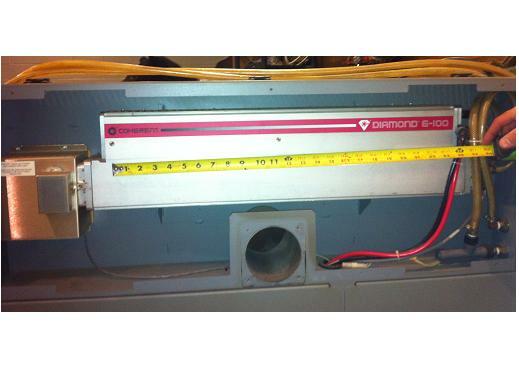 If you own a Synrad 48 series, of V30 or other V series model, of the Firestar series or T series, we have them as well. In addition, we regas all major brands commonly found in OEM fabricated laser machinery, by manufacturers such as Preco Laser, LMI, and many others. Coders by Domino, Videojet, MECCA--see our lower costs. And, we provide fast turn-around. Complete the form below for a price on your model.﻿ We also offer new lasers at steep discounts. How to Diagnose a laser for a Refill? The majority, more than 90%, of lasers that come in for a refill, get just that, a refill on the gas and cleaned and re-alignment of the optics. In some cases, additional repairs are needed, including optics replacement and RF power supply component part replacement. As these cases are not the norm, prices are quoted per the repair at the time of the repair. No, RF metal tube lasers can be refilled and repaired for more than 20 years and we have cases of 30 years. Some manufacturers have difficulty getting components and want to sell new RF lasers, so call their older products obsolete and refuse to service them. We will service these lasers and bring their performance back to the original specifications as when new. 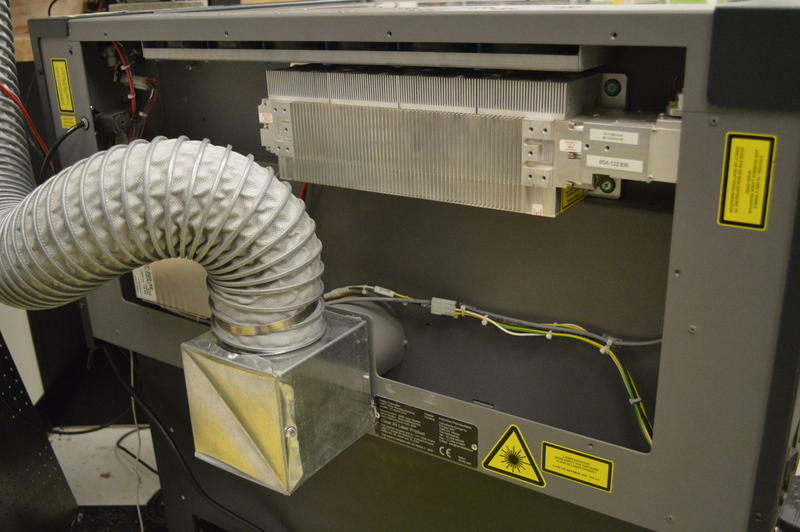 A major university needed upgrade on Epilog laser from 30 watt to 70 watt. 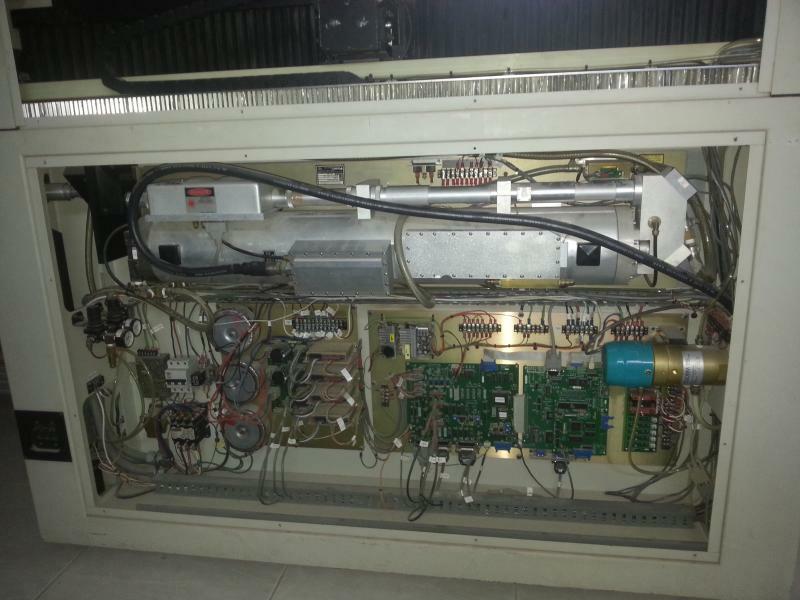 We supplied the Coherent C70 watt refurbished at steep discount, additional new power supply, instructions for installation, and trade-in on used 30 watt. There were only a few hours of down time because they received the 70 watt laser before returning their 30 watt trade-in. A niche product maker had their GCC laser engraver losing power fast during peak holiday season. They had a dead Coherent 30 watt laser sitting in a box, and sent it in for refill. The RF was damaged and it needed gas, so we replaced with our in-stock 40 watt unit at no additional charge and met the required schedule. A laser machine owner was informed that their laser could no longer be refurbished by the manufacturer because it was discontinued. We had one in stock and provided it as a replacement with no down time. Also, took the owner laser in on trade and refurbished it. A family-owned laser cutting/engraving shop requested three equal, monthly payments to aid in cash-flows for their laser refurbishment--granted with no interest or additional charges. A laser engraver owner had older lasers that no longer worked in his warehouse. He traded in his old stock for a laser refill and RF repair. A laser engraver owner needed a replacement tube because they cannot be down. Will purchase the refill later. "This is a big thanks from your newest advocate in AustraIia. It is currently 10.30pm and I wanted to say thanks to you both for your he|p. Our laserregased tube arrived from FedEx this aftemoon at 6 pm. We have just installed it without even having to adjust any mirror settings.I can't say more thanks for the service you have provided me. Our 5th laser is now back online and working again. Thanks for you advice and follow up.I will advise anyone in Australia that this service is first class and exceded my expectations.Thanks Greg and Dan.Merry Christmas and a job well done....many more regas repairs from Australia to follow.﻿"
Above: Epilog Mini 24 equipped with a Coherent 35 watt air cooled CO2 laser needs an upgrade to 70 watts and a refill on the 35 watt laser. Above: Coherent Diamond G50 50 watt CO2 laser installed in a CMS laser marker machine. Above: Synrad Evolution (EVO) 100 CO2 laser installed in a Preco Laser, Laser Machining Inc LMI laser machine needs a refill and optics replaced. Lasers in stock right now include Synrad 48 series, V series, and Evolution series. 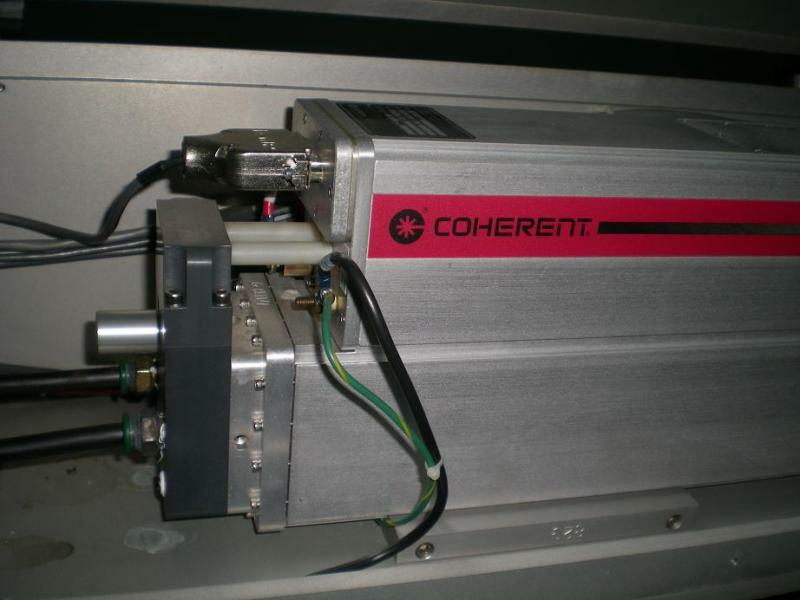 Coherent models include the GEM series, DEOS, and C and K series lasers. Laser machinery includes Epilog laser engravers with 25, 50, and 100 watt lasers installed. Inquire for prices below. Our prices are lower than manufacturers of laser machines that can charge a premium price to their captured market. By offering an alternative to the manufacturer you can save substantially. Buyers of laser engraving machines often read in the advertisement that the laser power is low or a refill is needed. Contact us for a quote today, so that you can factor in the cost of the refill and bid accordingly! Sometimes the original manufacturer will no longer support the laser model installed. We will. We will refill and provide a one year warranty. The warranty on a laser refill is one year. In the unlikely event that service is needed on a refilled tube, contact us and we will remedy as quickly as possible. We have a stock of laser tubes, and if needed and available will provide a loaner at no charge in order to keep your laser machine operational. Typical time is two weeks from receipt. We can expediate if required. Actual refill time is dependent upon work load. If you want spare parts to purchase, such as an additional laser head and/or RF power supply then we typically have it in inventory. We work with many international buyers to make the process go smoothly and at the lowest cost for the refill and minimize the tax to only what is necessary and required. Payments can be made with Paypal, credit card, check, and bank transfer. Above: Coherent DEOS D600 needs DC power supply replaced. 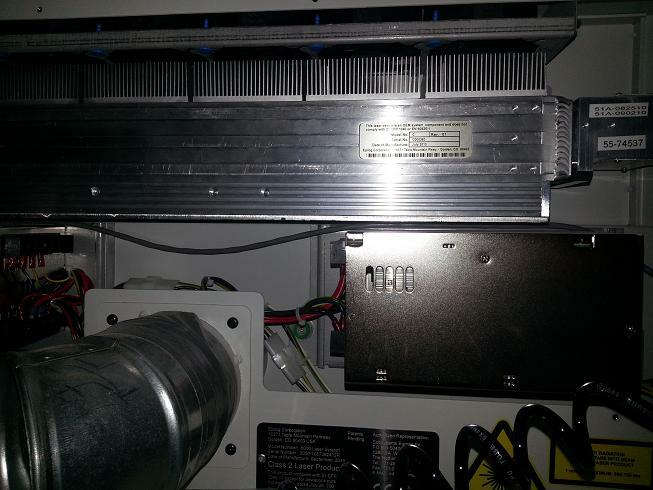 Above: Synrad F100 CO2 laser installed on CNC machine with power down from original time of installation. 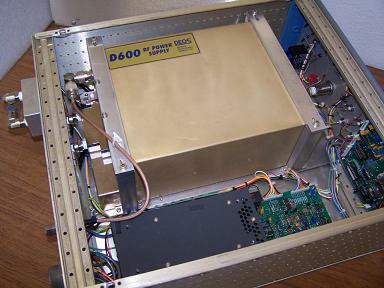 Above: Beam Dynamics with Coherent Diamond K500 500 watt CO2 laser needs a refill and RF power supply has lost fifty percent power and needs repair. Above: Synrad 25 watt CO2 laser engraver has lost power and must be refilled. Above: Universal Laser Systems ULS 25 watt CO2 laser needs a refill. Complete the form below with your laser engraver/cutter model and/or laser model/power for a price quote and turn-around time and options including trade-in, swap-out, trade-up, and more. Add any additional information necessary.